A vital procedure of a woman lying on an examination table and undergoing electroencephalography while her doctor examining CT results. Feeding knowledge directly into your brain, just like in sci-fi classic The Matrix, could soon emerge just as falling asleep, scientists believe. Researchers claim to have developed a simulator which can feed information directly into a person’s brain and teach them new skills in a shorter amount of time, comparing it to “life imitating art”. They believe it could be the first steps in developing advanced software that will make Matrix-style instant learning a reality. In the neo-noir sci-fi classic, protagonist Neo is able to learn kung fu in seconds after the martial art is ‘uploaded’ straight to his brain. 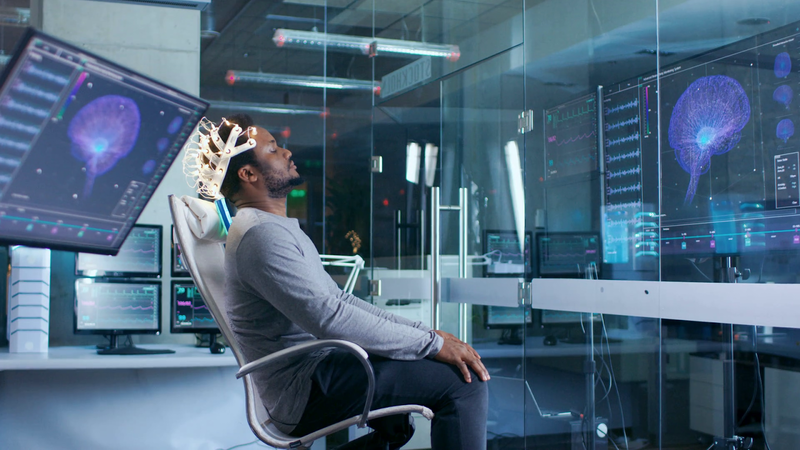 Researchers from HRL Laboratories, based in California, say they have found a way to amplify skill learning, only on a much smaller scale than seen in the Hollywood film. They studied the electric signals in the brain of a trained pilot and then fed the data into novice subjects as they learned to pilot an aeroplane in a realistic flight simulator. The study, published in the journal Frontiers in Human Neuroscience, found that subjects who received brain stimulation via electrode-embedded head caps improved their piloting abilities and learnt the task 33 per cent better than a placebo group. “Our system is one of the first of its kind. 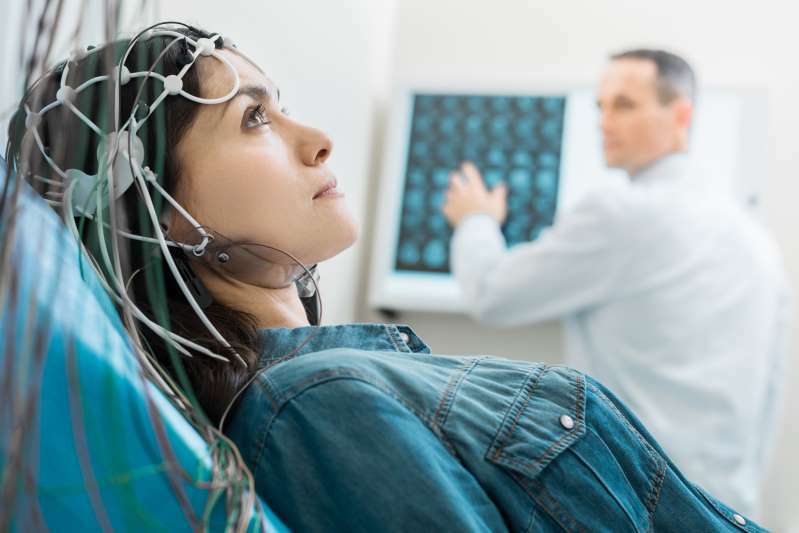 It’s a brain stimulation system,” explained Dr Matthew Phillips from the School of Medicine and Biomedical Sciences at the State University of New York. said “It sounds kind of sci-fi, but there’s large scientific basis for the development of our system. “The specific task we were looking at was piloting an aircraft, which requires a synergy of both cognitive and motor performance. Monitors show EEG and Graphical Brain Model. In the Background Laboratory Man Wearing, Brainwave Scanning Headset Sits in a Chair with Closed Eyes. In the Modern Brain Study Research Laboratory. When you learn something, your brain physically changes. 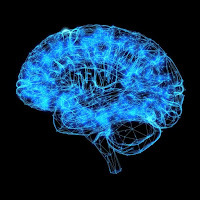 The connections are made and strengthened in a process called neuroplasticity. “It turns out that certain functions of the brain, like speech and memory, are located in very specific regions of the brain, about the size of your pinky.” Dr Matthews believes that brain stimulation could eventually be implemented for tasks like learning to drive, exam preparation and language learning “What our system does is it actually targets those changes to specific regions of the brain as you learn,” he added. “The method itself is actually quite old. It turns out that certain functions of the brain, like speech and memory, are located in very specific regions of the brain, about the size of your pinky. In fact, the ancient Egyptians 4000 years ago used electric fish to stimulate and reduce pain. “Even Ben Franklin applied currents to his head, but the rigorous, scientific investigation of these methods started in the early 2000s and we’re building on that research to target and personalise a stimulation in the most effective way possible. “Your brain is going to be very different to my brain when we perform a task. What we found is … brain stimulation seems to be particularly effective at actually improving learning.” Meanwhile, a recent study found that intelligent people are more easily distracted at work.